One Unit Down, 9 to Go | Go to Sleep. Study. Mathinate. I have one week left until I go back to work and I’m finally feeling good about my first unit for pre-algebra. I’ve never taught this class before, but since I’ve taught the ones immediately preceding and immediately following, I think I’ll be okay. The curriculum map I got originally was a bit of a mess, but I think I’ve figured out a pretty good system for the year. 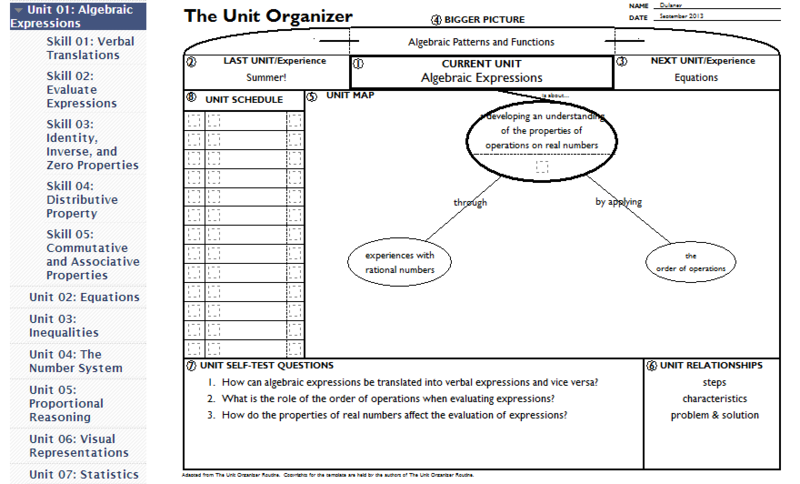 The first unit is called Algebraic Expressions and the five skills of focus are: verbal translations, evaluating expressions, identity/inverse/zero properties, the distributive property, and associative/commutative properties. I finally have exit tickets prepared for all the skills as well as the entire homework/vocabulary packet complete. The part I’m giddiest about is the class website. 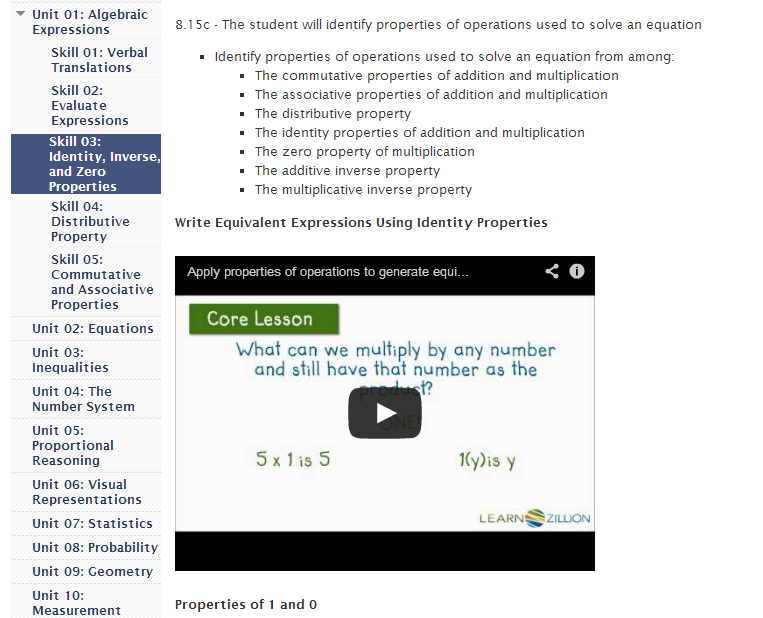 I’ve been using Google Sites for the past few years for each class and really like it. It makes it so easy to update and organize. The home page has the Google calendar, which will actually have each day’s plans on it once September arrives. And… the best part of all is that I’ve actually updated all the skills for Unit 1 so that the SOL is posted as well as helpful YouTube videos for review and attachments of notes at the bottom.